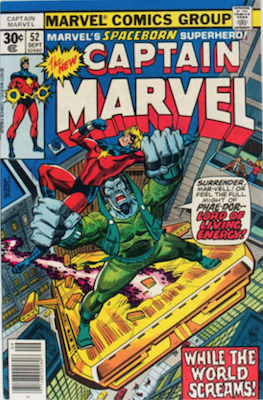 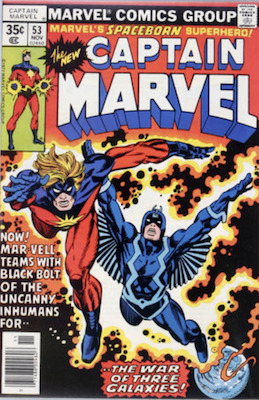 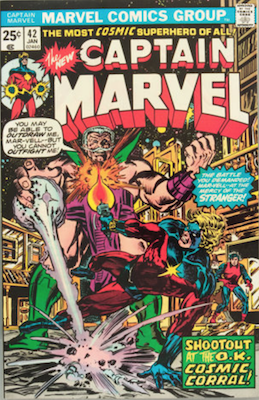 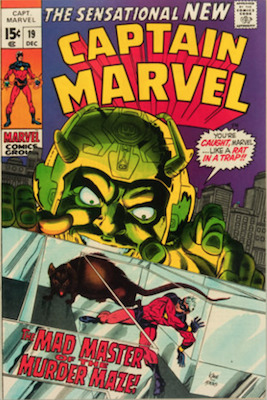 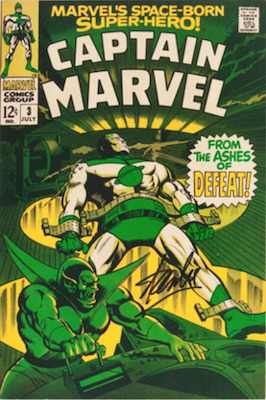 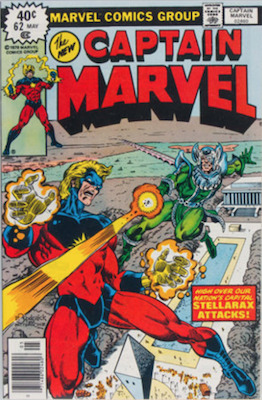 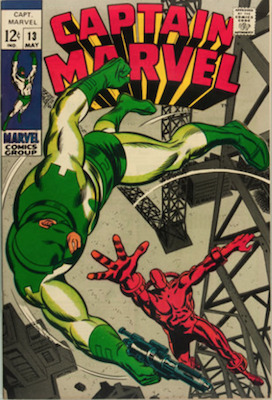 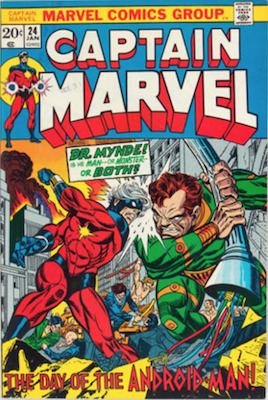 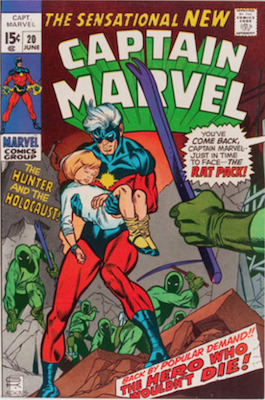 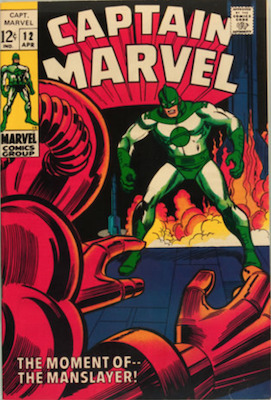 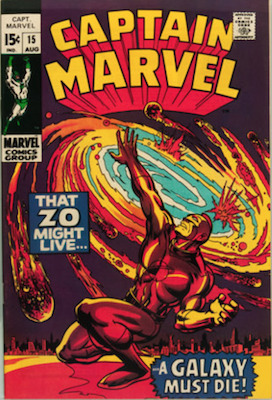 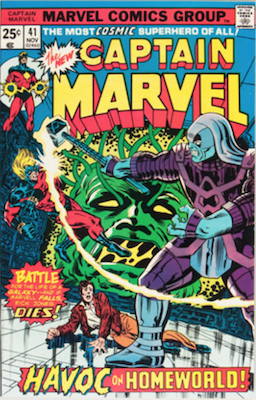 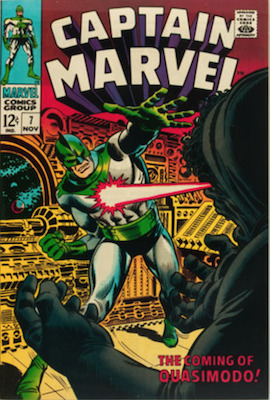 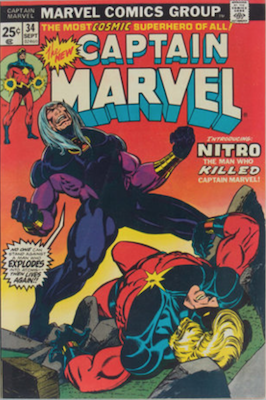 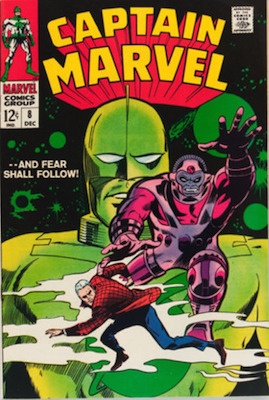 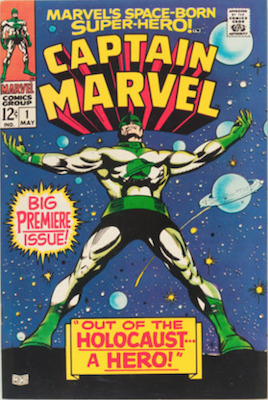 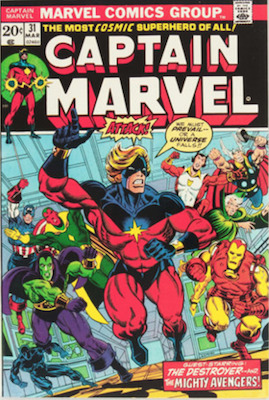 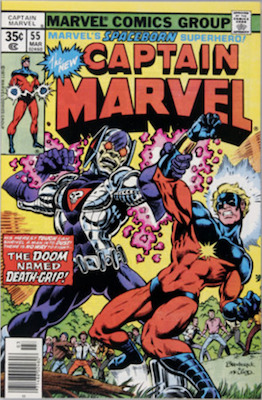 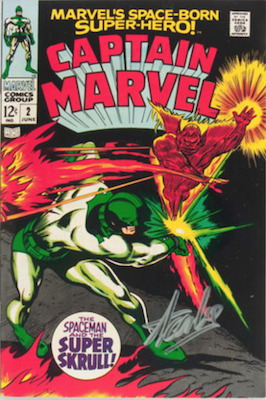 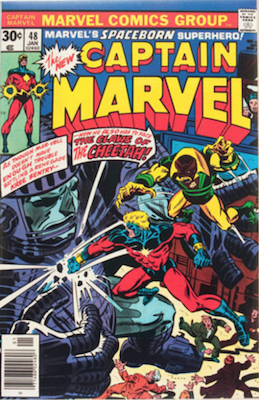 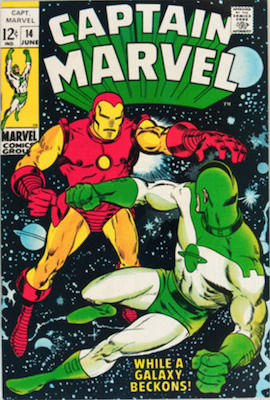 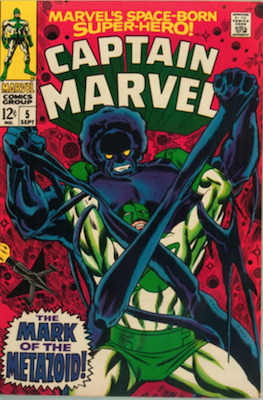 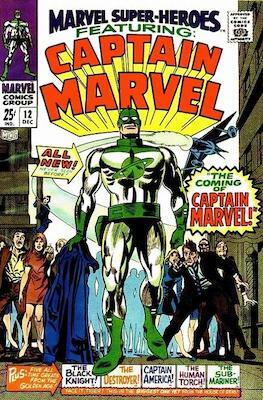 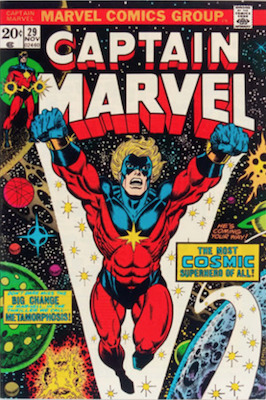 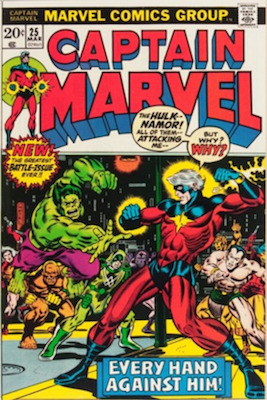 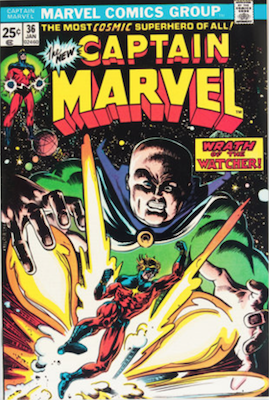 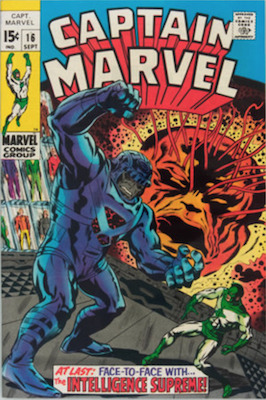 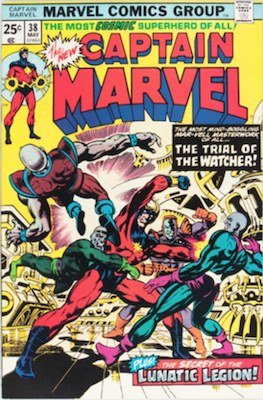 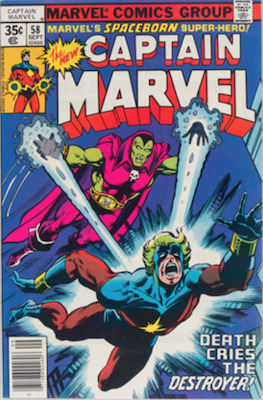 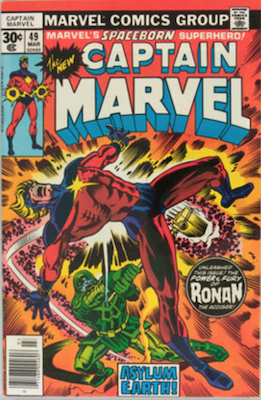 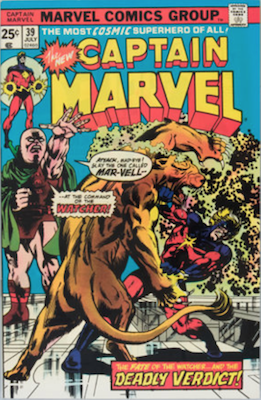 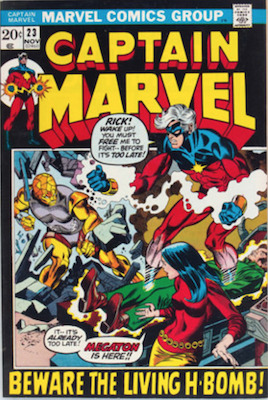 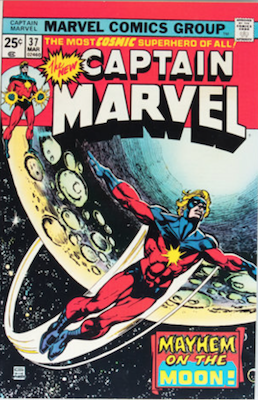 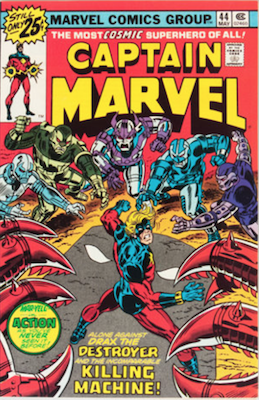 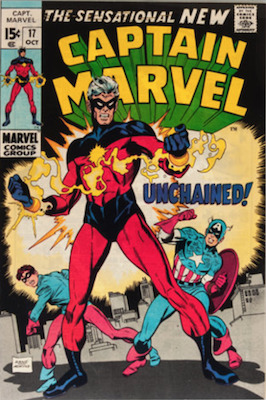 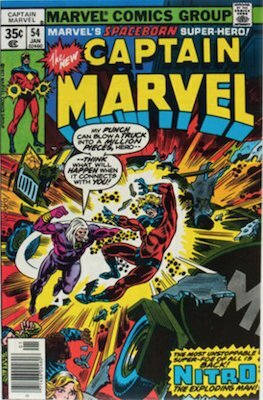 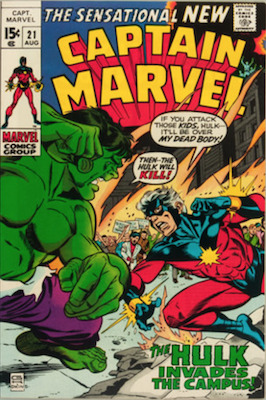 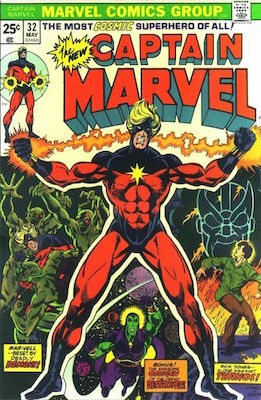 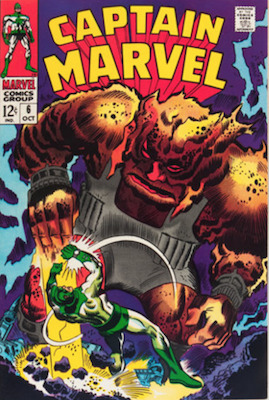 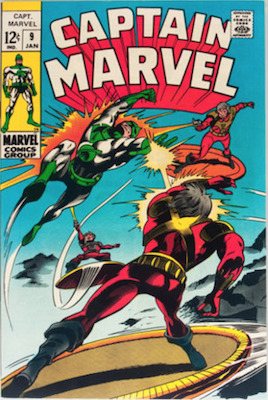 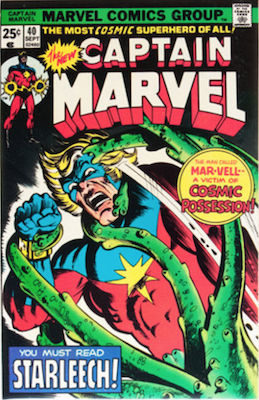 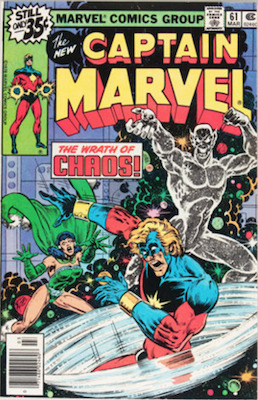 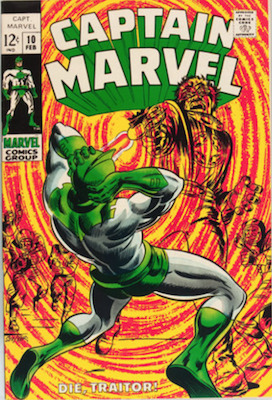 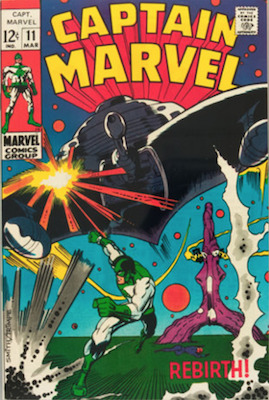 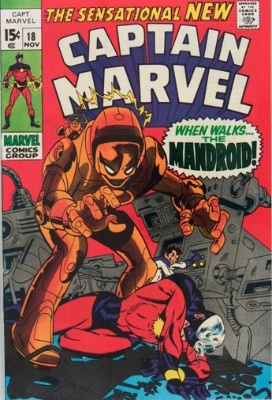 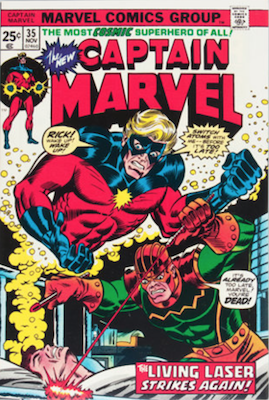 Captain Marvel (Mar-Vell) is a late Silver Age creation by Marvel Comics. 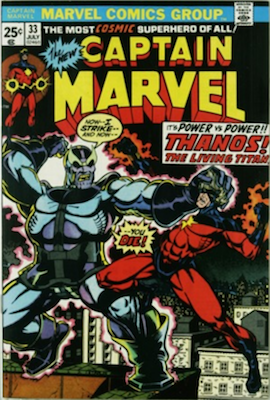 Thanks to the twist at the end of Avengers: Infinity War, the character is suddenly HOT. 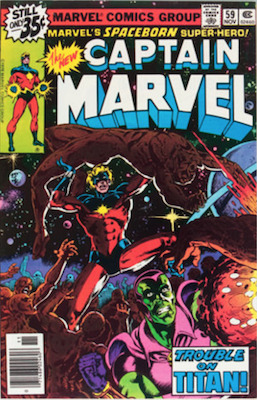 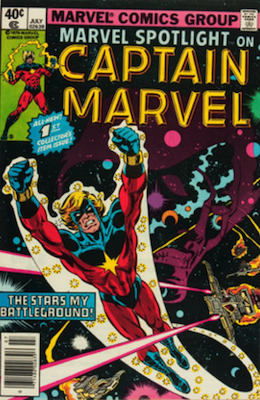 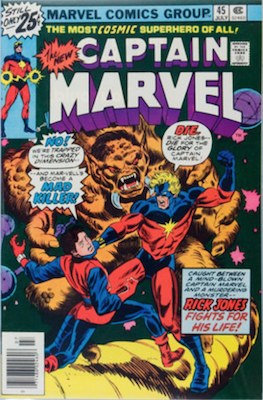 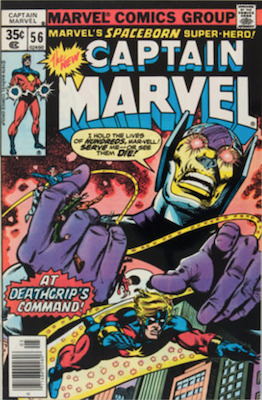 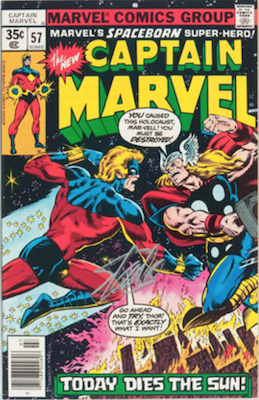 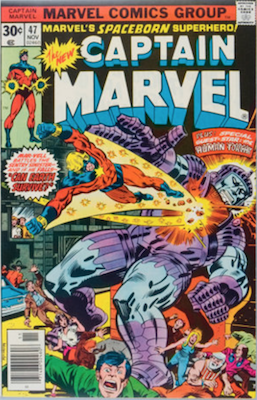 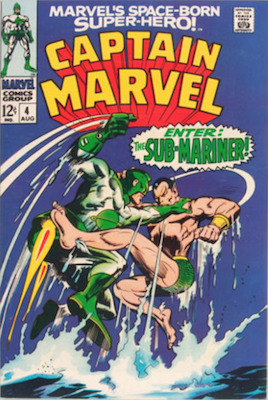 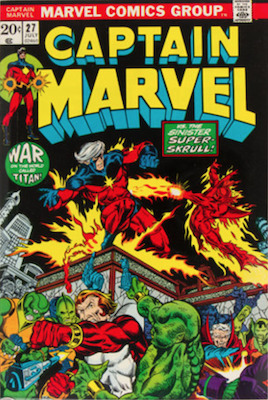 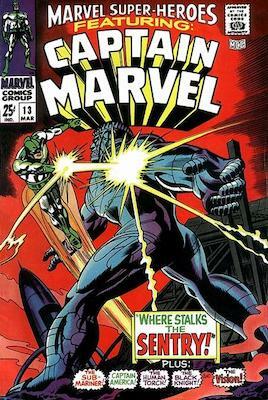 Captain Marvel first appears in Marvel Super-Heroes #12 and teams up with Carol Danvers (the future alter ago of Captain Marvel) in #13, before spinning off into the stand-alone title. 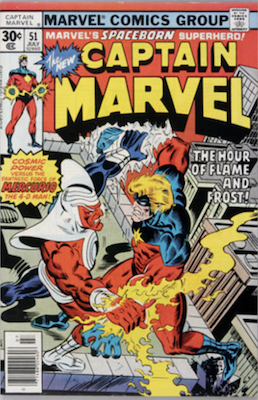 Don't Miss Our Marvel 30c Price Variants Page! 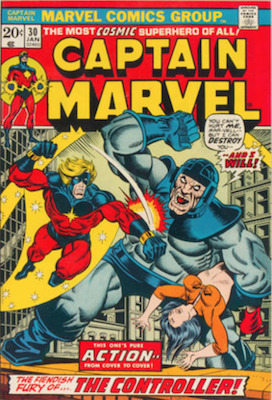 Dr. Minerva will be in the Captain Marvel movie later in 2019, played by Gemma Chan. 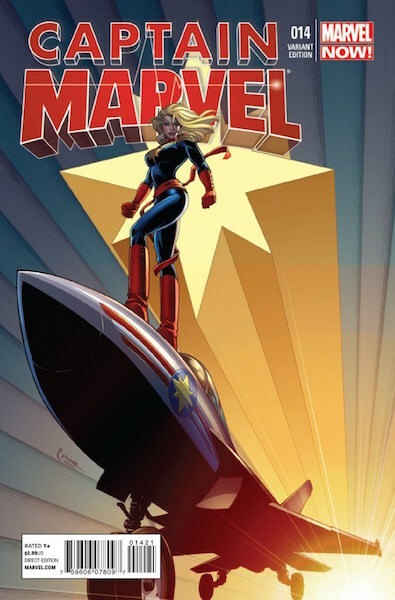 Don't Miss Our Marvel 35c Price Variants Page! 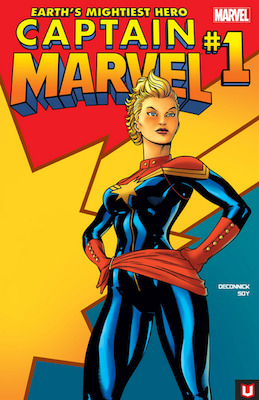 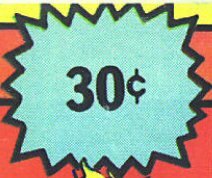 Marvel 35 Cent Price Variants Guide includes Captain Marvel comics! 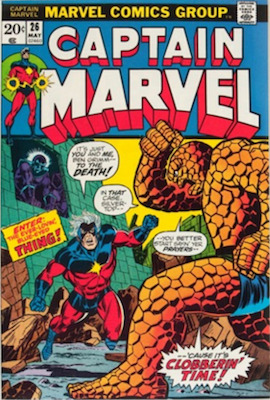 Second, third and fourth printings exist and are worth less than the first printing. 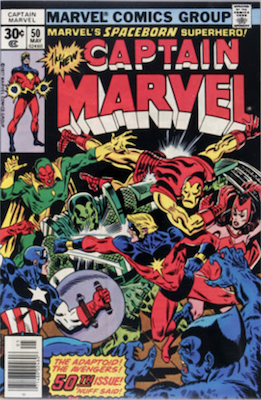 See values for Avengers, Thor, Spider-Man, Ms. Marvel and more. 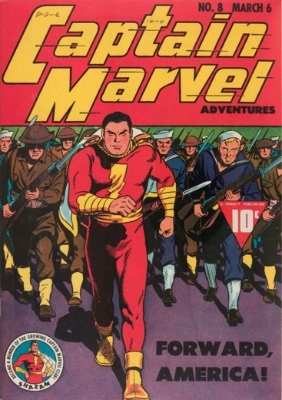 The OTHER Captain Marvel began life in the 1940s. 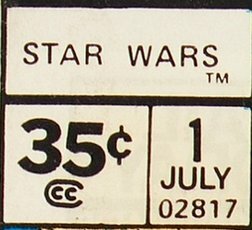 See what those are worth! 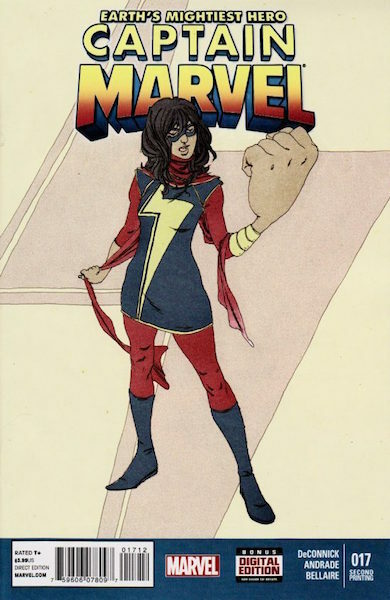 One of the hottest characters in the Marvel Universe right now, Ms. Marvel comics are valuable again! 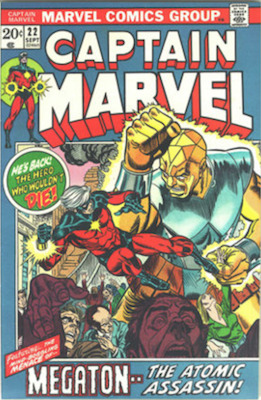 Old Shell Head is one of the most popular Marvel Comic superheroes. 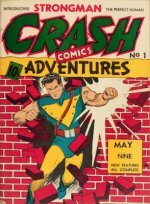 Find values for his issues here. 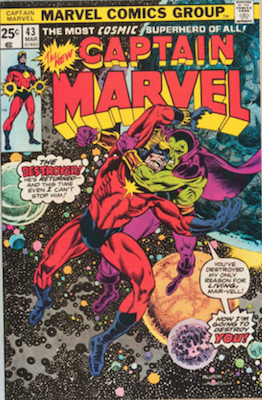 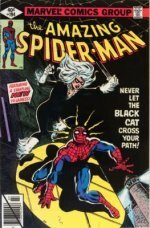 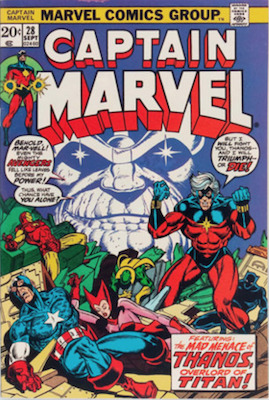 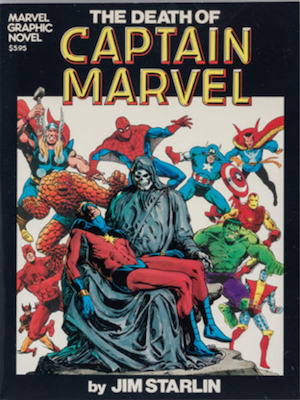 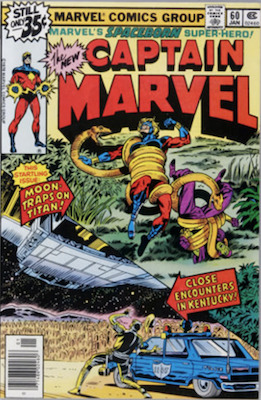 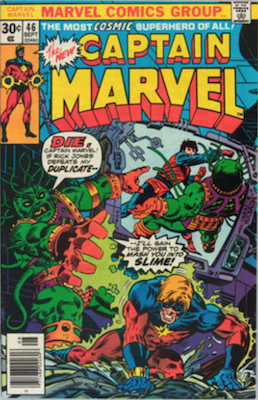 Get Immediate Cash for Your Captain Marvel Comics from Sell My Comic Books!